Easy for Moms & Fun For Girls! We Bring The Mobile Kids Spa Party To You! Affordable Children's Spa Birthday Parties! Hey Candice! What an outstanding party you put on! EVERYONE was impressed with your ability to entertain the girls and keep them focused. From the decorations, to the activities, it was perfect. My favorite part was when the girls gave each other compliments. Such a great lesson on how to speak up in a group, make eye contact, and show confidence. Plus, it sure does feel good to get a compliment! Knowing that each girl received one, made my day. Miss Q also showed such professionalism and ease when tending to each girl. Many thanks to both of you. Your talent shined on many levels and I hope we can party again with you next year! That was SO much FUN!!!!!!!!! Welcome to Candi Blossoms Mobile Spa Parties! We are a Houston area provider of mobile spa parties for girl's birthdays and other celebrations. Candi Blossoms Mobile Spa Parties is Houston's choice for mobile kid's spa parties. We come to your home or the location of your choice and offer trending spa party themes from which you can choose. Houston area girls love our spa parties because they are fun and engaging. Moms, love our girl's spa parties because they are convenient and affordable. Our parent company is Tea-Lightful Parties, LLC. Tea-Lightful Parties has hosted over 1500 children’s birthdays and other celebrations since 2004. CONTACT US and let us help you plan the perfect party for your child or loved one. 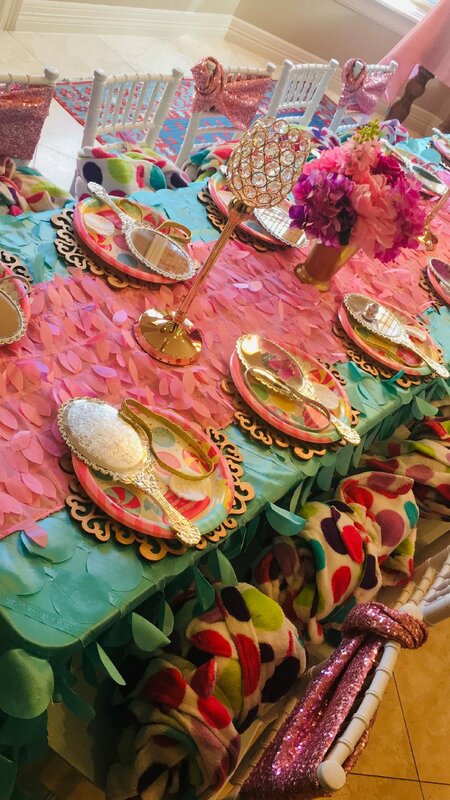 A Fun Girl's Birthday Party Idea for Children in the Houston Area! Candi Blossoms Mobile Spa Parties is Houston's choice for mobile kid's spa parties. We come to your home or the location of your choice and offer a fun and amazing birthday party experience for all! Houston area girls love our spa parties because they are fun and engaging. 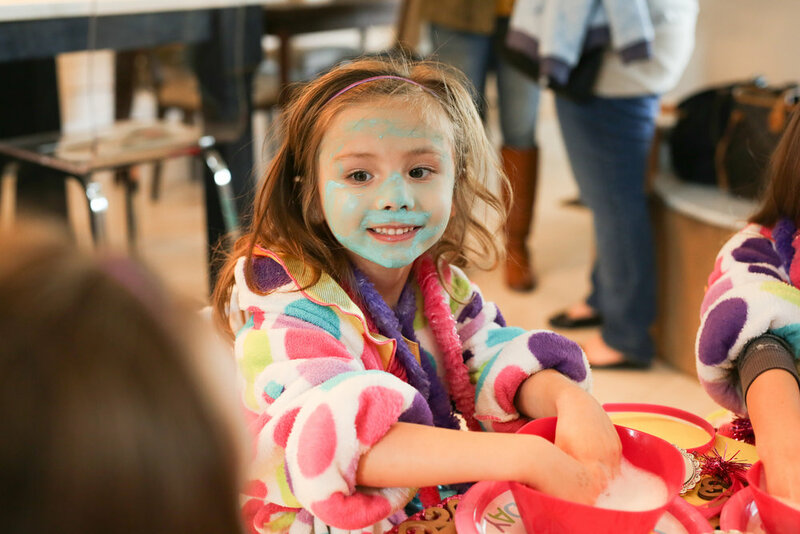 Moms love our girl's spa parties because they are convenient and affordable. SPA-TACULAR mobile kid's spa party in the Houston area. Your daughter will love our themes, comfy robes, fun crafts, kid friendly music, and experienced party hostesses. Don't settle for any company! We've been in business since 2004 and have hosted over 1500+ children's parties in the Houston area since then. Click Here For Kid's Spa Party Packages & Rates! What we're up to! Check out our Blog! 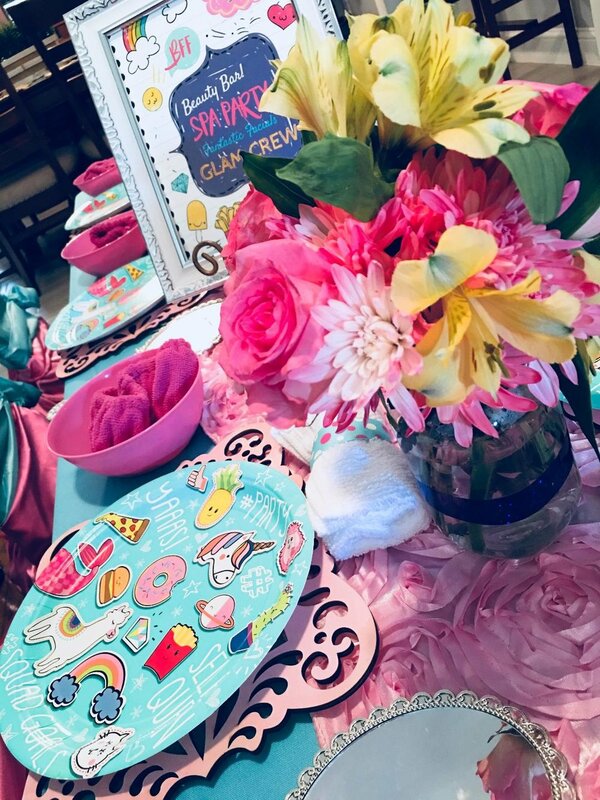 A Fancy Nancy Spa Party!? Hey Girlfriend! Pink & Turquoise Spa Party Alert! FREBBIE ALERT! Download this today! S'mores - The Sweetest Party Favor! Yum! Service Areas for Kid’s Spa Parties and Children Spa Party Fun Includes: Houston, The Woodlands, League City, Sugar Land, The Woodlands, Katy, Pearland, Spring, Kingwood, Friendswood, Memorial, Bellaire, Friendswood, West University, Humble, Tomball, Fresno, Magnolia, Montgomery, Missouri City, and more! Website created with lots of love & pixie dust by Candy Girl Web Designs.